the first all-in-one solution for UX designers. Coming in early 2016 from Adobe. Project Comet — arriving in 2016. Take your UX designs from start to finish with the cross-platform app that lets you do it all — wireframing, visual design, interaction design, prototyping, previewing and sharing. And because it’s built from the ground up, Comet delivers innovative tools and breakthrough performance to help you design in record time. 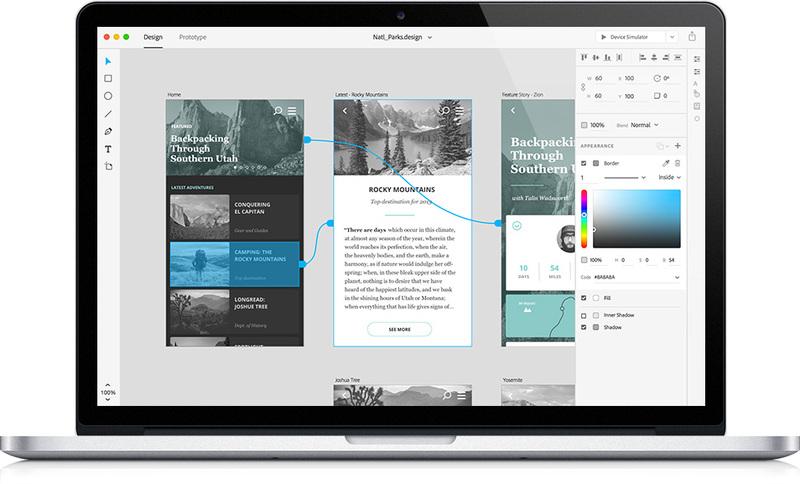 Intuitive layout tools and lightning-fast performance help you draw, reuse and remix design elements fast. Add interactions, animations and gestures so you can test how users will experience your design. Continue making refinements, and see changes reflected immediately in your prototype. See your mobile designs in context and in real time on connected devices so you can rapidly test and iterate. Send team members and stakeholders a link to your prototypes and let them comment directly on the designs. And share production-ready work with developers so they can build to your specifications. Bring your existing assets right into Comet. And use roundtrip workflows for bitmap and vector editing. Use your own or community-built plug-ins to add new capabilities or enable custom workflows. Fontea | Google fonts in Photoshop & Sketch, plugin by madebysource 700 Google fonts in your Photoshop.